The latest nit to pick in professional golf is a practice termed “backstopping.” Backstopping takes place on the green when a player, either intentionally or through forgetfulness, neglects to mark a golf ball that has settled close to the hole. A competitor playing from off the green then has the opportunity to use that ball as a potential “backstop” for a shot that may otherwise run past the hole. If the unmarked ball is struck by another player’s approach, the moving ball is then played where it comes to rest (presumably closer to the hole than it would have been had it not struck the stationary ball), and the backstop ball is replaced to its original spot. No penalty is incurred by either player. To golf purists, backstopping is a serious breach of the spirit of competition. To professional golfers, it can be a subtle way to help out a friend who maybe will do the same courtesy somewhere down the line. So, what exactly is in the sacred Rules of Golf concerning marking one’s golf ball on the green? There is no rule that puts the obligation on the player to mark a golf ball. In fact, it is only relatively recently measured in golf years that players were expected to mark their golf ball, even if it blocked another player’s direct line into the hole. Such a situation was called a stymie, and it was not eliminated by the United States Golf Association (USGA) and the Royal & Ancient (R&A) until 1952. Prior to 1952, if another player’s ball was in your putting line you could not ask to have that ball marked unless the two balls were within six inches of each other. There was even a six-inch “stymie line” printed on scorecards to settle any disputes when the stymie distance was not clear. In the days of the stymie, it was necessary for golfers to learn how to hit short chips over the offending golf ball or even learn how to curve putts around the impediment. You can view a USGA video on the old-time stymie. What Do the Rules Say about Unique Ball Markers? 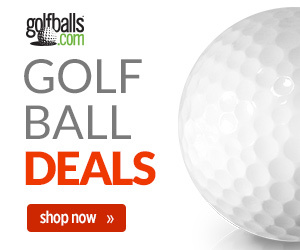 Professional golfers rarely deviate from the practice of marking their golf balls with anything other than a small coin. The coin is unobtrusive and unlikely to distract their fellow competitors while putting. For amateur golfers who are not playing for their livelihood, personalized golf ball markers with a bit more personality are common in their friendly foursomes. Harrington Moore, an industrial supplier of screws and bolts, even patented a golf ball marker in 1974 as a “flat disc formed with a central integral peg extending from one face thereof and a layer of non-woven fibers bonded to the opposite face thereof.” This ball marker penetrated the turf like a golf spike and helped usher in the practice of printing on a ball marker, most often a golf club logo. Another popular ball marker that evolved was a little metal disk that attached to the golf glove. Another handy place to store a golf ball marker is affixing it magnetically to a divot tool. Today’s golf ball markers are the game’s social media. As soon as you bend down to mark your ball you express a bit about you – what your favorite golf event is, where you like to play golf, what college you attended, which sports team you root for, what products enrich your life. All of these and much more can be imprinted on a golf ball marker. Manufactured golf ball markers started out mimicking the small coin implied in the rulebook but have since departed significantly, specifically with the introduction of the poker chip marker. These plastic or metal discs can be works of art unto themselves. As to whether these behemoth markers deviate from the Rules of Golf, one only need to see the many variations of Open Championship, Masters, Ryder Cup, or other event poker chips on offer to disabuse the notion that poker chip ball markers are illegal. 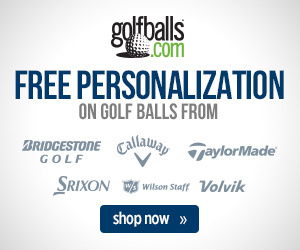 Golfballs.com is the leader in customized golf accessories such as ball markers. Whether it be a personal monogram, company name, or logo, the online personalization process is fast and easy with virtual proofing. A live logo specialist is on hand to handle any disruptions that may arise in the process.